You may be surprised to hear that, despite living in the North East for over four years, I've never been to the Sunderland Airshow! So when DFDs Seaways invited us to join them for a mini cruise to watch the airshow from on board one of their huge ships we were thrilled. I'm pretty sure attending the annual airshow is a right of passage for any North East resident, so it may seem a little strange that I've never visited the Sunderland Airshow before. If I'm being honest the thing that has put us off is the amount of people. Simon and I aren't huge lovers of large crowds and we're also not too fond of queuing, standing or fighting for space (I know, we're a barrel of laughs!) So the thought of joining the masses at the seaside in Sunderland has always put us off the airshow, despite the fact that we both love a bit of plane spotting. 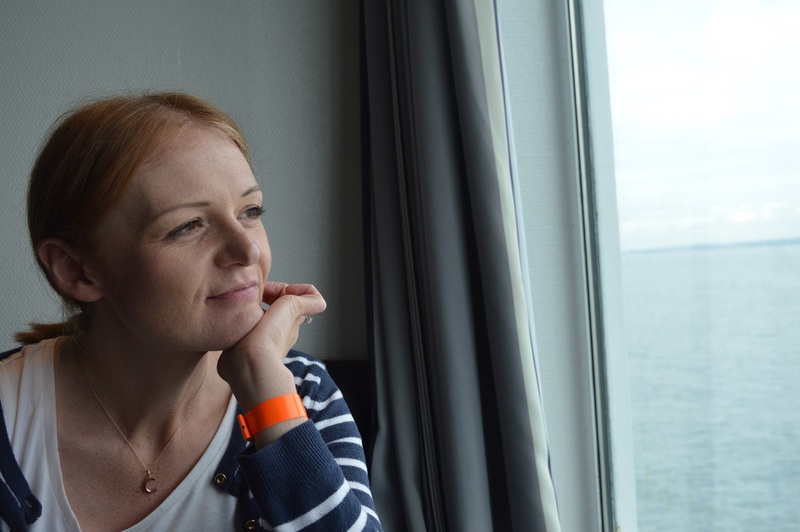 This year, however, thanks to DFDS Seaways we discovered a way to beat the crowds and enjoy a spectacular view of the Sunderland Airshow without any of the hassle and, in all honesty, it's a bit of a game changer. 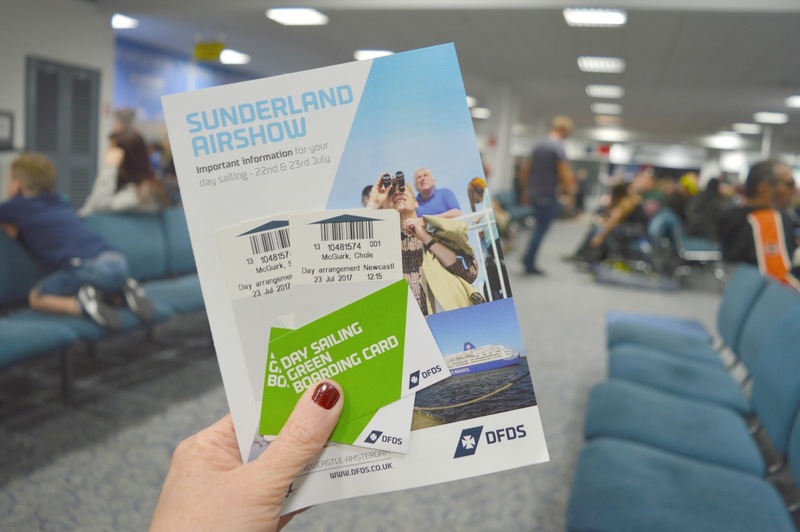 DFDS Seaways day cruises to the Sunderland Airshow are ideal if you really want to bring an extra little something to your experience of the show. I don't know why we've never done it before! No fuss, no crowds and no queues. We visited the Sunderland Airshow on Sunday and our day began with a short journey to the Port in North Shields. 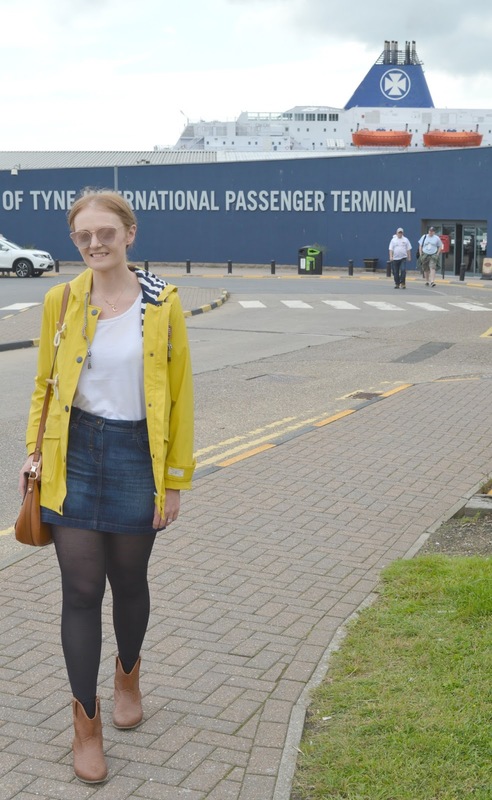 We were feeling pretty smug about not having to battle the traffic to Sunderland and had a care free journey where we easily parked our car in the free carpark and headed towards the DFDS Seaways terminal. Check in was so simple and in no time at all we were sitting in the waiting room with lattes in hand. Unfortunately any dreams we had of enjoying the Sunderland Airshow in shorts and sun hats were well and truly scuppered when the weather decided to bless airshow weekend with dark clouds, torrential downpours and threatening storms. But the show went on, since when did an event in Britain stop for rain? Our ship, the King Seaways, set sail at 12:15 pm, giving us a good hour to relax and enjoy some lunch before reaching the airshow. Every ticket included a different type of lunch experience onboard including a packed lunch, help yourself buffet or an a la carte menu. Lunches were well organised and we were given a set dining time to ease congestion and prevent delays. 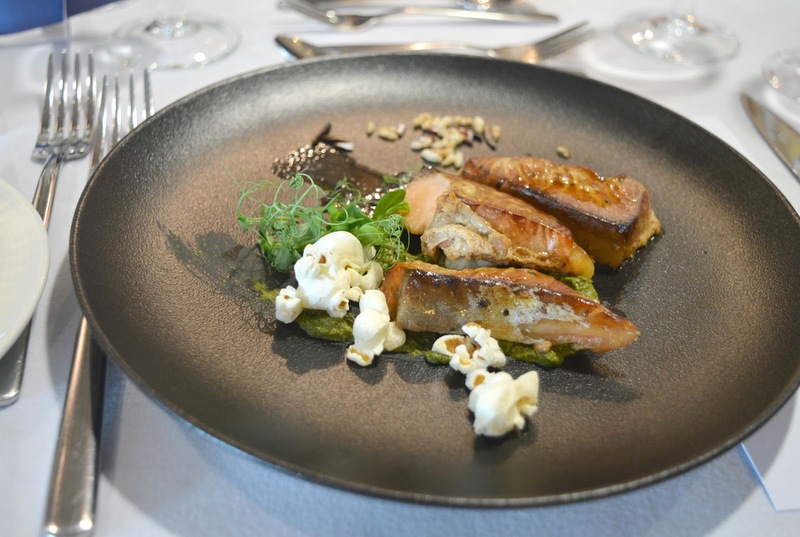 I wasn't too sure what to expect from the food onboard the ship, and I have to admit we were both pretty stunned when we were presented with dishes that looked really beautiful - for once we weren't the only people taking photographs of our food! Our lunch began with Hot Smoked Bourbon-cured Salmon served with green herb cream, corn and wild rice. We weren't too sure about the addition of popcorn on our plates but it actually worked really well with the smoky salmon. 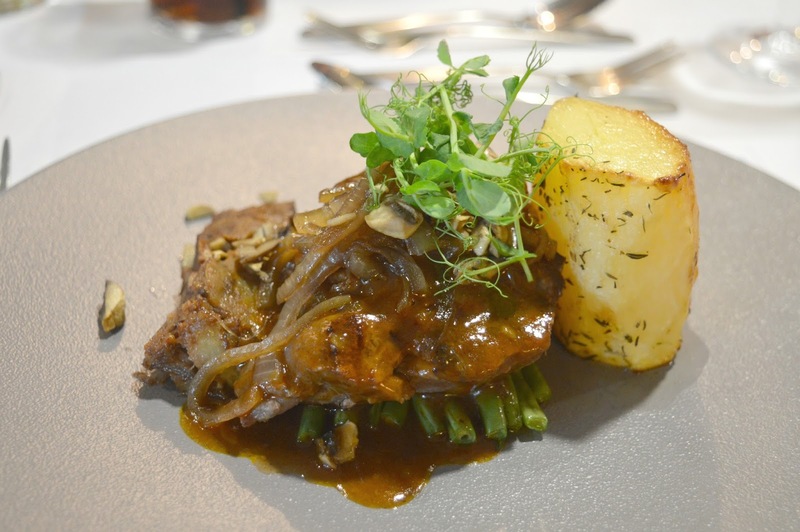 This was followed by a main course of Fillet of Beef with braised oxtail grill served with onion and mushroom medeira glaze. The beef was so tender and the gravy was deliciously rich. It was my first try of oxtail and I wasn't too fussed by it, but it was great to have the opportunity to try something new. 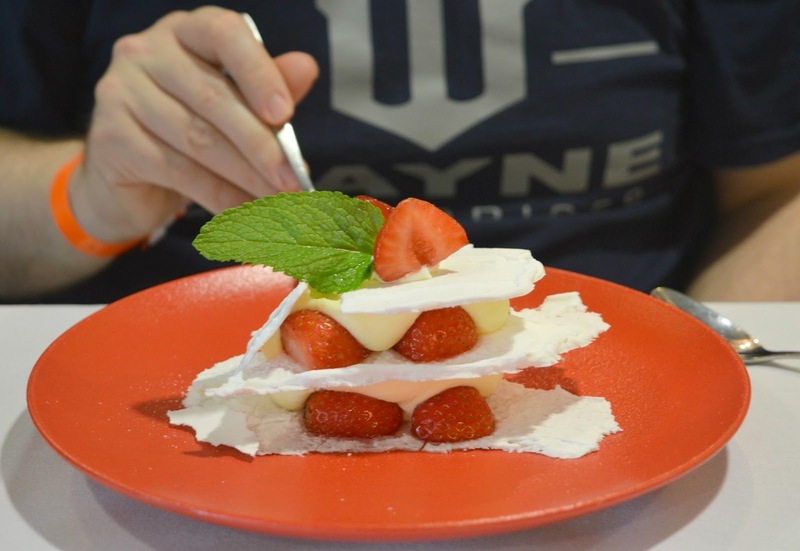 Our meal ended with Strawberry Mille Feuille served with citrus and vanilla cream. We were surprised when dessert appeared as it wasn't a traditional mille feuille. Instead of the usual pastry the layers were built with meringue but it tasted so good that after one mouthful we really weren't bothered by its name. Just as we finished lunch, and I'd announced that I'd quite like a Sunday afternoon nap after all that food, we'd arrived at the Sunderland Airshow. We dropped anchor just off the coast of Seaburn with perfect views across the sea. We could easily make out our favourite landmarks like the Souter Lighthouse. Despite the miserable weather we decided to head up to the outside decks to enjoy some aerial views of the displays. As the planes appeared I barely noticed it was raining I was so entranced by what was happening in the sky. 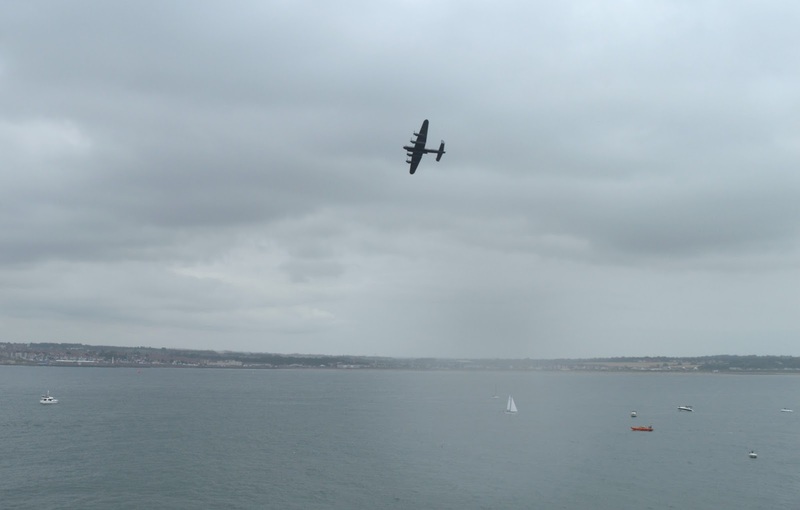 We couldn't get over how amazing the view was from aboard the DFDS ship, we could see for miles and being higher than ground level meant that we got a great view of the jaw dropping stunts put on by the display teams. At times the planes flew right over the ship giving us such a buzz as the noisy engines roared over our heads. There was lots of room on deck to really appreciate the displays with plenty of passionate fans fully armed with camping chairs, binoculars and giant camera lenses. 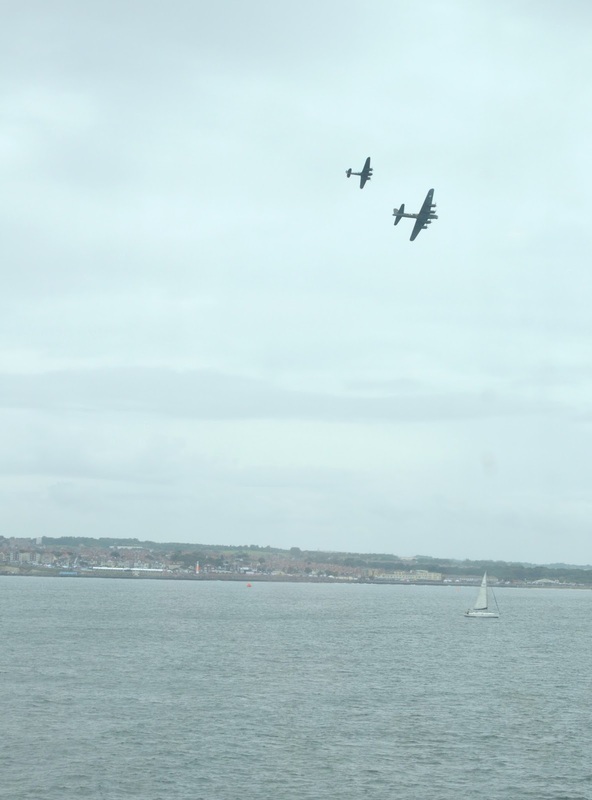 The atmosphere was great with no worries about fighting for a space - the very best way to view the Sunderland Airshow! After a little while I realised that the rain had started dripping off my hood and was pinging off my nose so we decided it was time to head indoors to dry off. We loved having the ability to duck in and out when we pleased and once we'd decided we'd had enough of getting wet we easily grabbed a comfy seat in the bar by a huge window where we could still appreciate the planes without getting soggy. There were plenty of families at the tables around us enjoying the displays and the views from the huge windows meant that we weren't missing out. I even managed to get a few more snaps. Armed with cups of coffee to warm up (good old British Summer!) 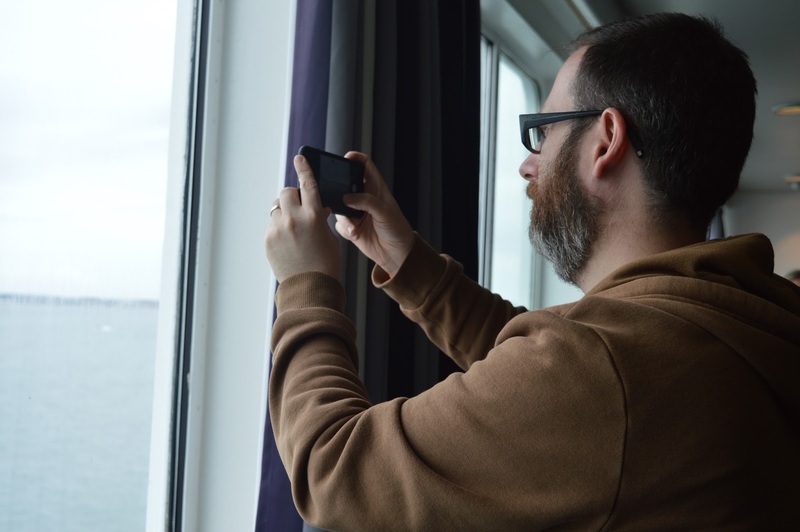 we spent the rest of our DFDS journey enjoying the displays inside and taking enough videos on our phone to use up all of the memory. We were very lucky to get the better of the two days, we heard that many of the displays were cancelled on Saturday due to the bad weather but most of the planes managed to complete their stunts for us before the weather got too horrendous. Keeping our fingers tightly crossed definitely paid off! For those who didn't want to spend two hours watching the planes, plenty of other things were happening onboard throughout the afternoon including wildlife watching, children's entertainment and live music. Simon and I didn't make it too far beyond our coffee cups, we were too busy pressing our noses up against the windows watching the planes! Before we knew it, it was 3:15 pm and the Captain announced that it was time to set sail and head back to the Port at North Shields. 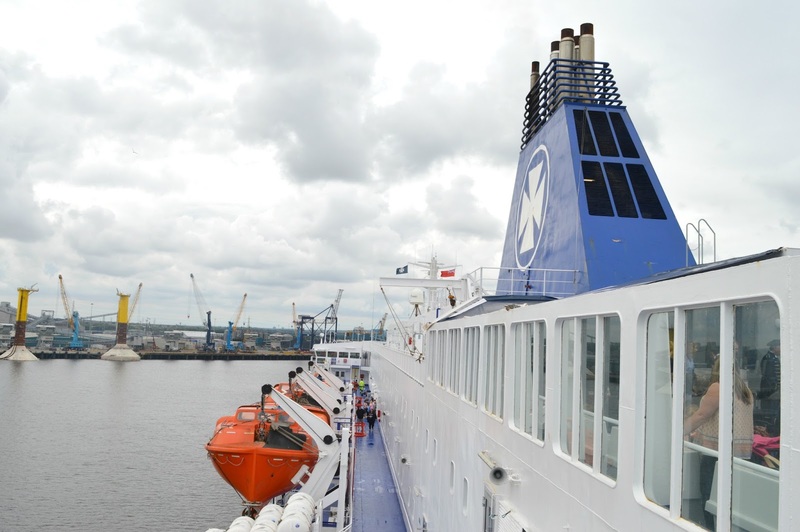 The best thing about our DFDS Seaways Sunderland Airshow Cruise was that it was a perfect bite sized experience of the day that perfectly suited our requirements. The two hours of plane watching was a good amount of time and we truly appreciated having so much room to move around, a great view and, of course, plenty of comfy seats in the dry once we'd had enough of the elements. I honestly can't imagine wanting to experience the Sunderland Airshow any other way and if we had that much fun in the rain I can only imagine how fantastic it must be in the sunshine. We will most definitely be returning next year and I have spent the last few days telling everyone I meet what a great time we had onboard the DFDS King Seaways - there really is no better way to enjoy the Sunderland Airshow. Let me know if you made it to the Sunderland Airshow this year and what your highlights were. I'd also love to hear from anyone who's done an Amsterdam trip on DFDS Seaways, we're so tempted to book a trip! Find out more about day trips and mini cruises with DFDS Seaways here. Huge thank you to DFDS Seaways for treating us to complimentary tickets onboard the King Seaways, we had a truly magical time! The food looks very well presented. Shame the skies were so grey for your first visit to the air show. I know! Hopefully better weather next year! I know .. who knew I'd spend half the Summer in a rain coat! I went out on the ferry on Saturday and we only saw the Typhoon, but the whole trip was worth it just for that. As you said, being on the ferry meant that the view was incredible. We had the buffet lunch and were amazing by the quality and huge selection of food. We could go back as many times as we wanted and weren't rushed at all. After seeing the Typhoon we took refuge inside for coffee and looked round the cabins that were open for inspection. Last year we went on the ferry to see the Tall Ships and each time we've been impressed by the friendliness and helpfulness of the staff. 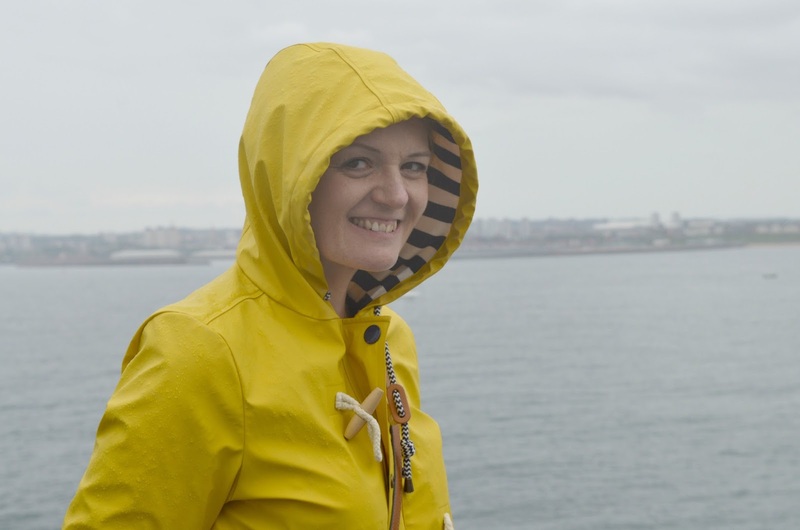 We'll definitely go on another mini-cruise but we'll be hoping for better weather! So glad the bad weather didn't ruin your tip! We were so impressed with the service too and so glad we had somewhere to shelter from the rain, can't wait to do it again next year! The rain mac always makes bad weather better! Looks like you had a great time, the food looks amazing! And I absolutely love your rain coat, so cute!